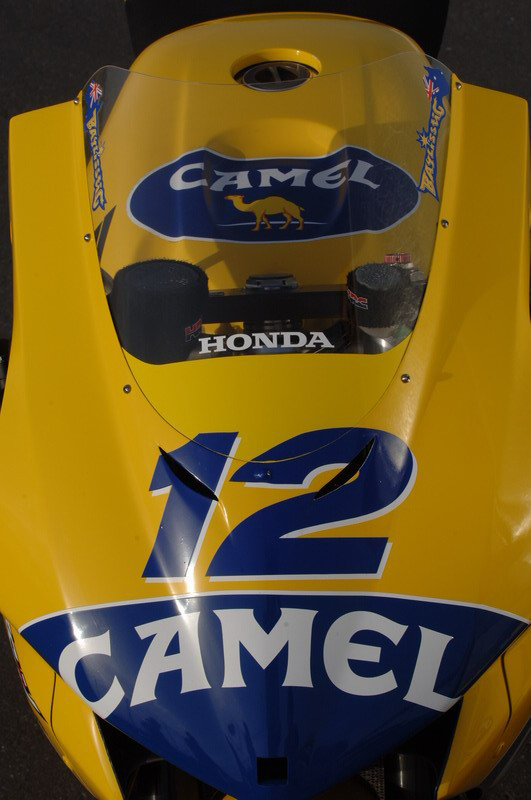 Well it didn't take us too long to start making more modifications to our Camel RC211V replica. 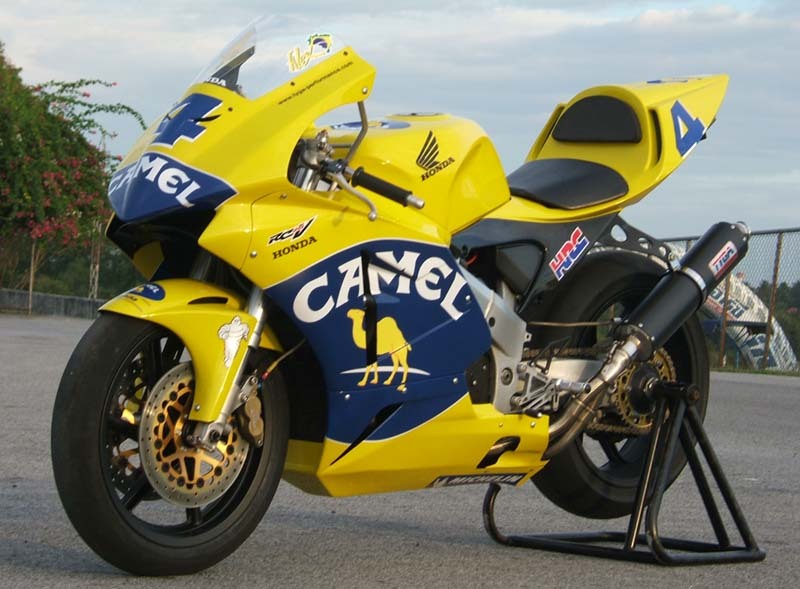 In part one, we made a street version but as we hinted at the end, it was tempting to make something a bit more track orientated. 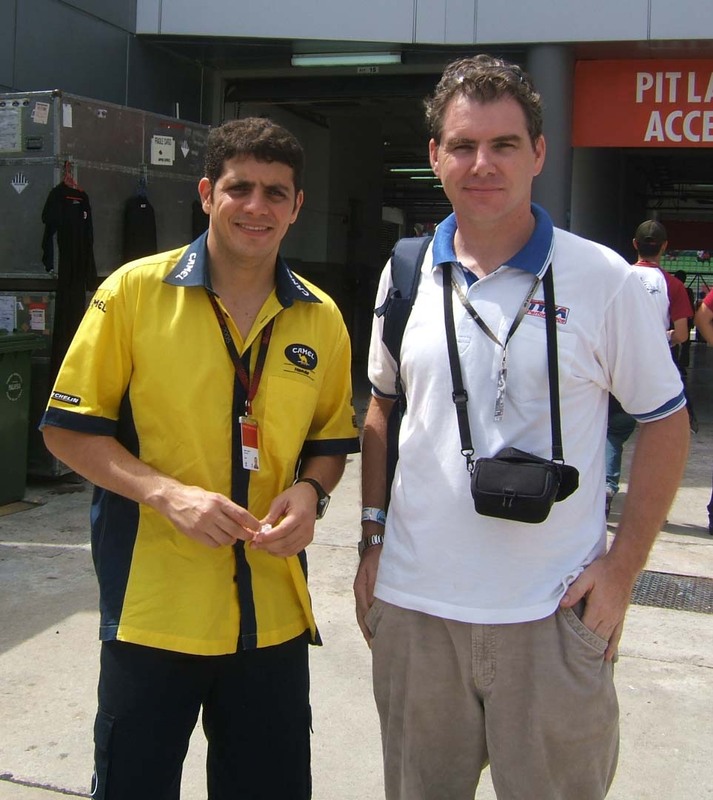 The picture on the left is what we started with, and the one on the right, what we ended up with. 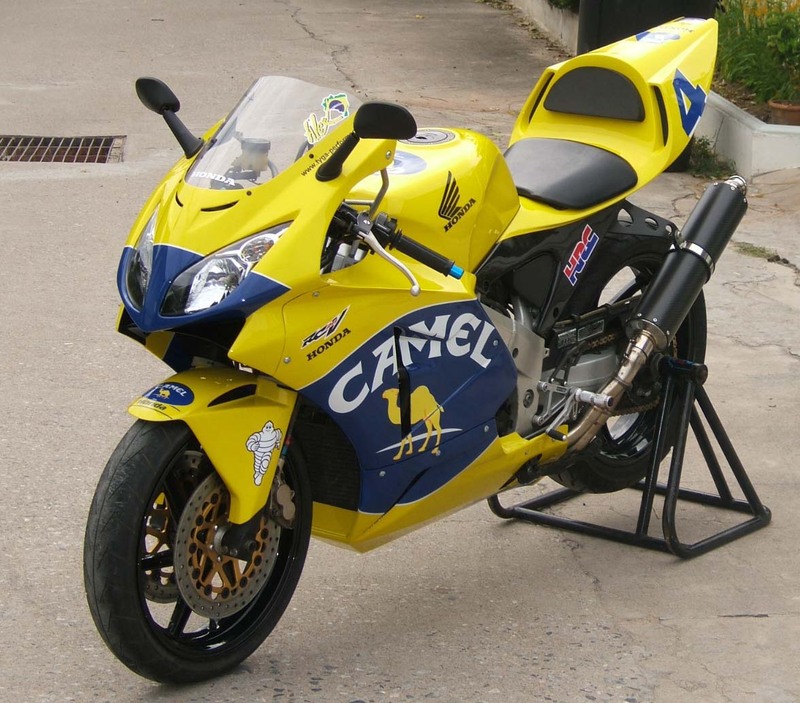 At first glance, the only difference is the headlight and mirrors. 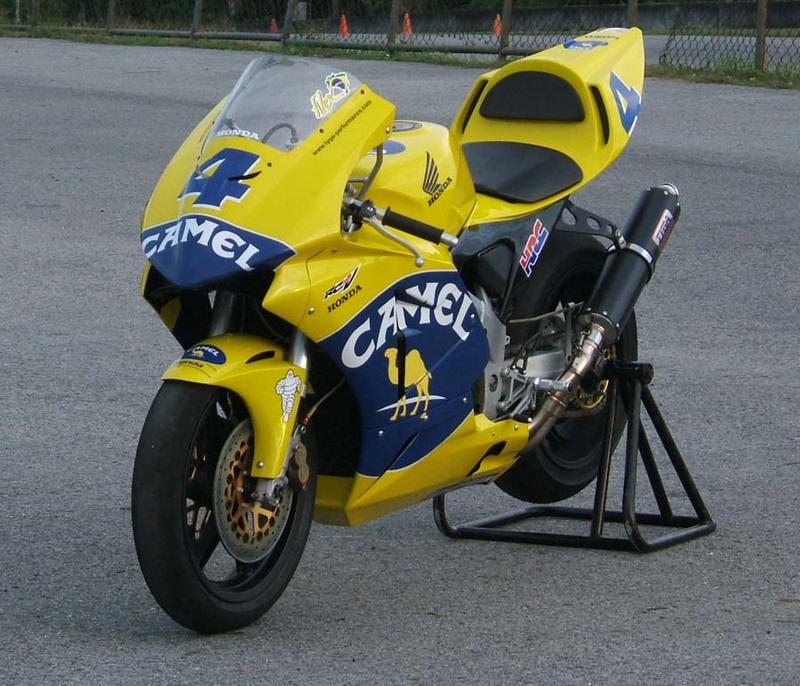 look more closely and you'll see there was lot more done. 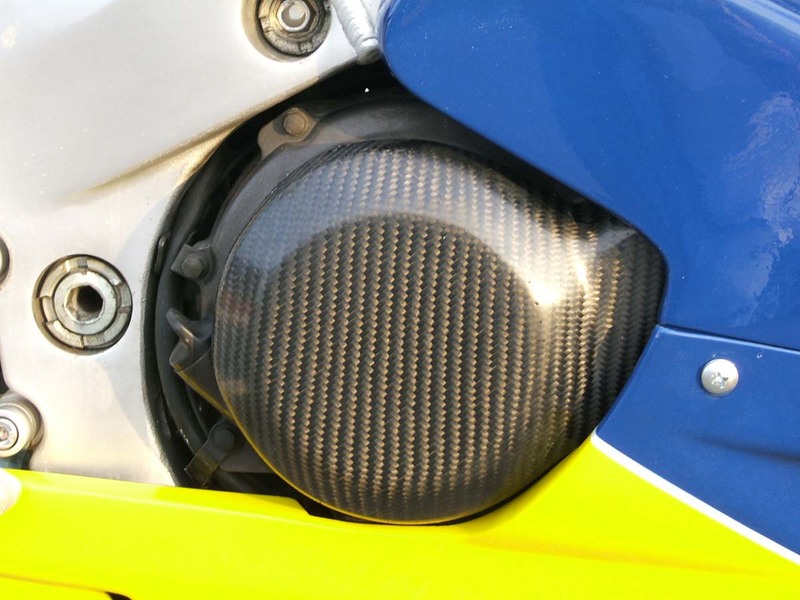 Read below and all will be revealed. 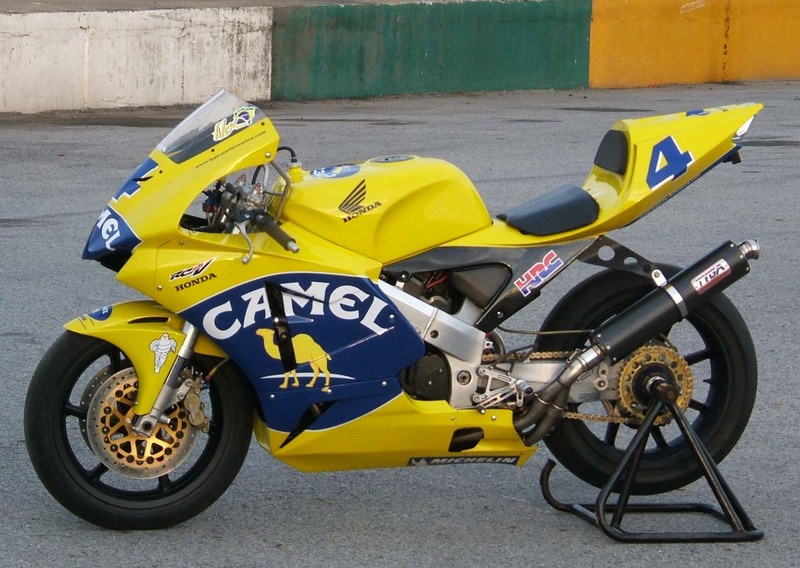 The NC30 chassis was pretty much kept intact on our street version. 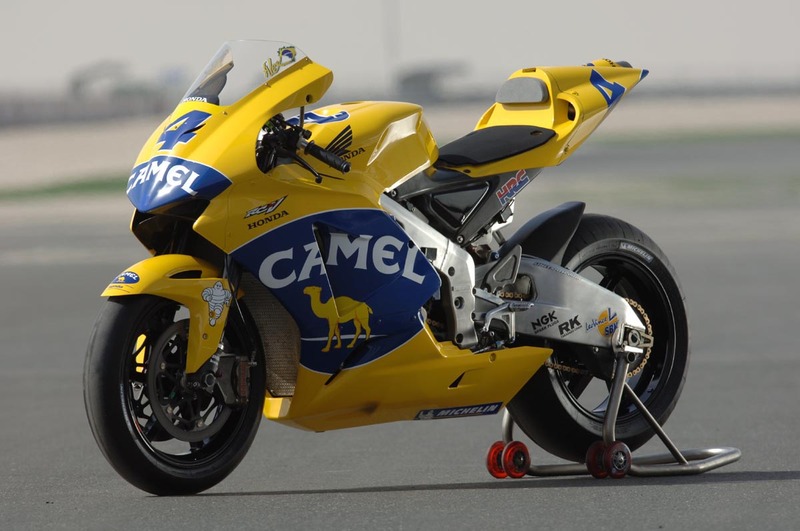 For the racer, we have gone a bit further. 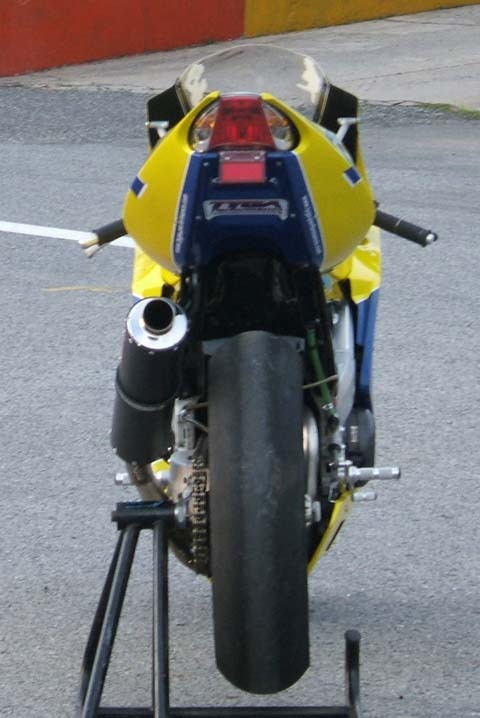 The front end is a NX5 RS250 GP bike one with Yamaha TZR250 handlebars for better positioning on the NC30. 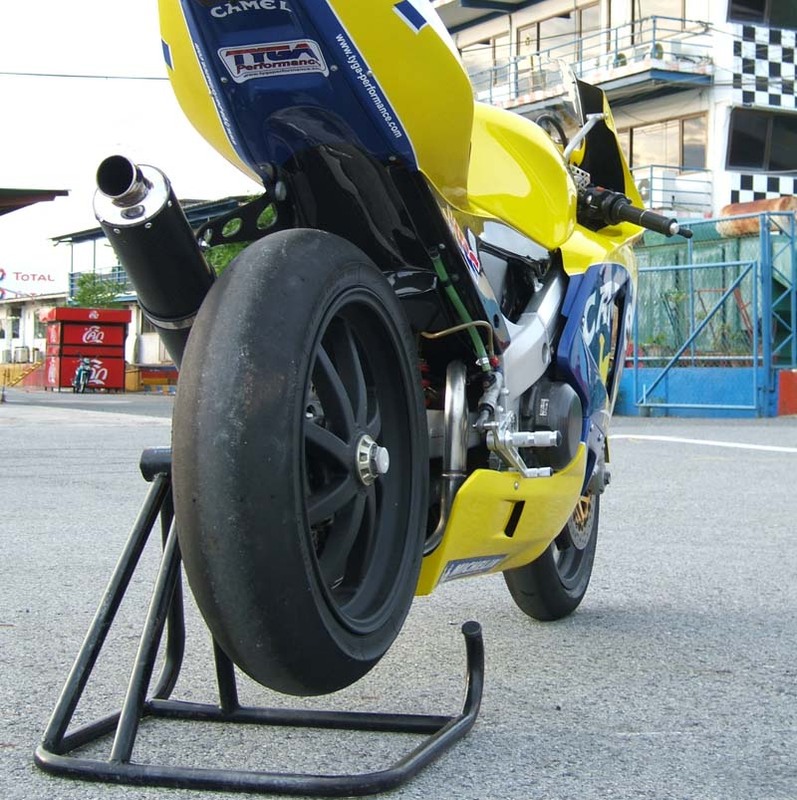 The front wheel is a Magtek Magnesium wheel and the rear is an NX5 5.5 inch rim to give the racer more contact area. 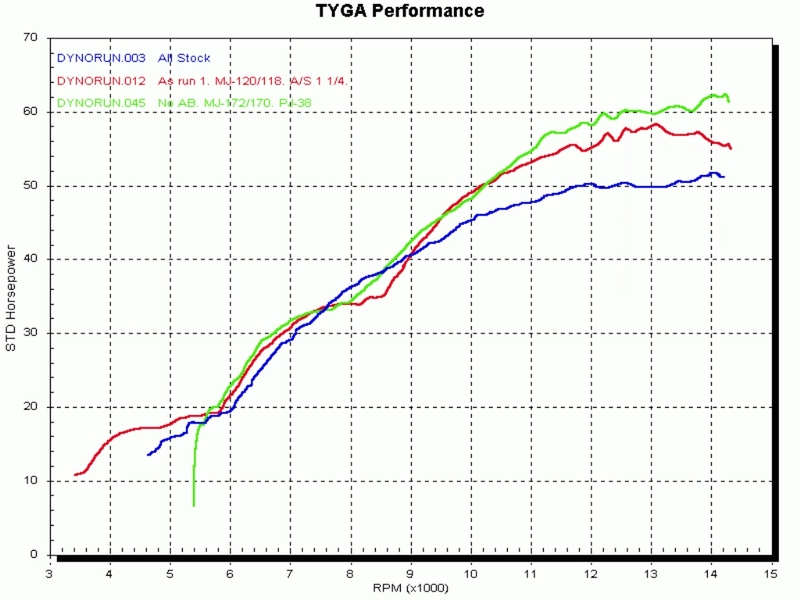 The tires are Michelin slicks with the rear a 165 and the front a 115. 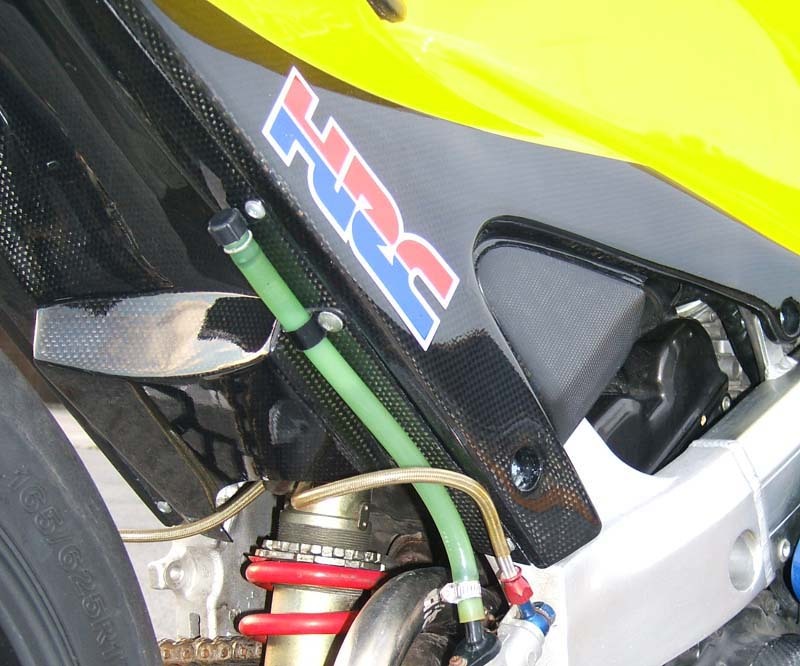 An HRC steering damper is fitted in the conventional position hidden under the bodywork. 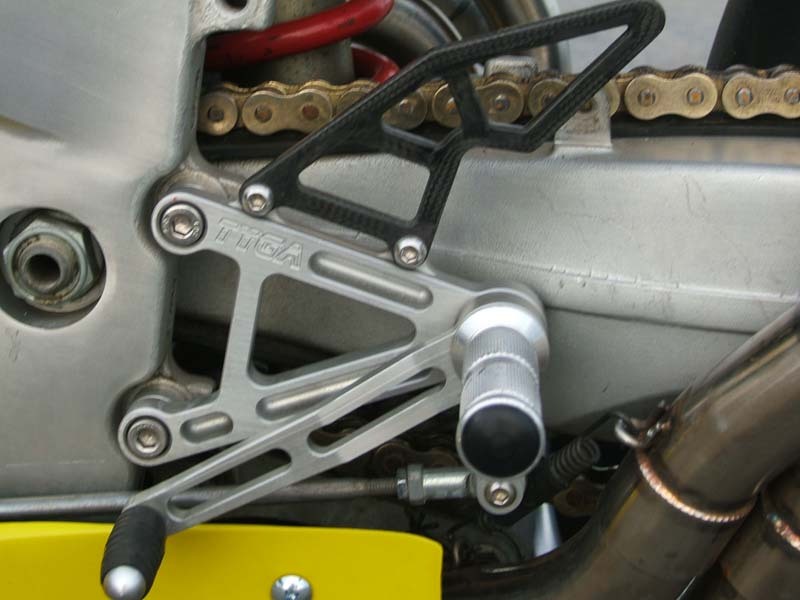 Braking is taken care of by twin Brembos calipers also taken from the RS250 biting on cast iron rotors and braided lines are fitted all round. 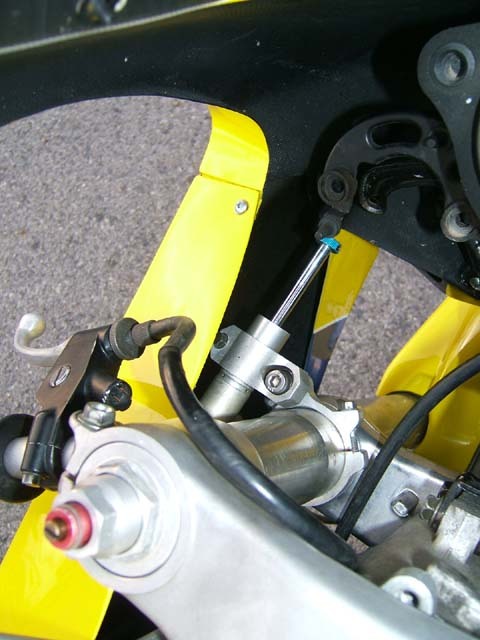 HRC rear brake reservoir used on rear brake. 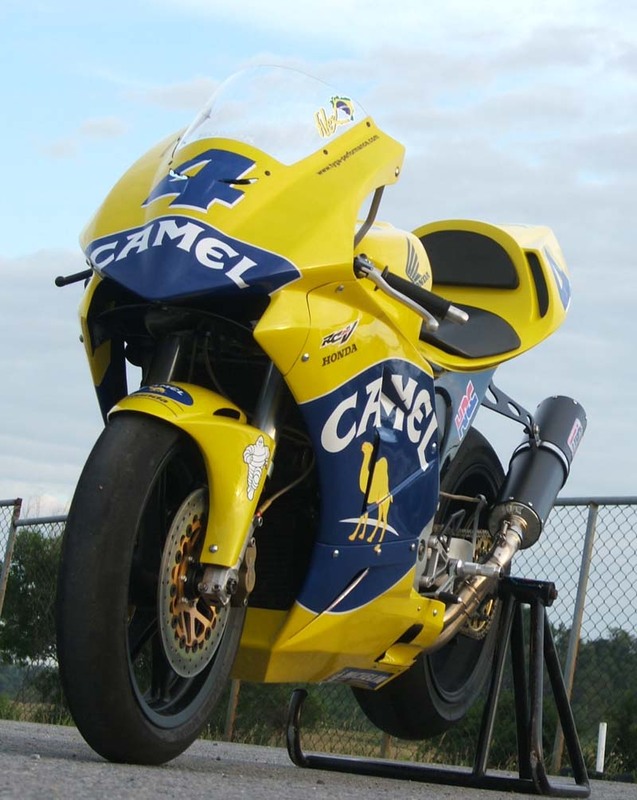 The engine is the same spec as when our dyno tests showed 62 horsepower with the Tyga Race exhaust system, open airbox, HRC CDI and jetting to suit. 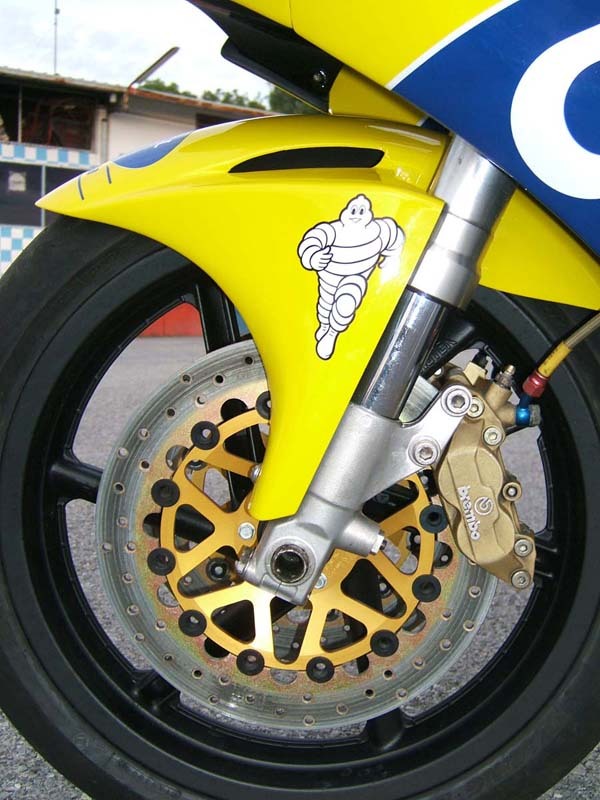 We changed the rear sprocket to an alloy 39T one. 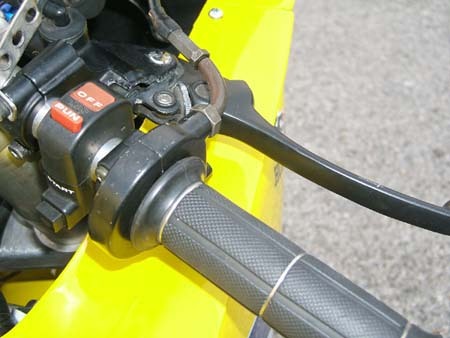 The throttle was replaced with a NSR250 one for quicker movement and operates a single cable. 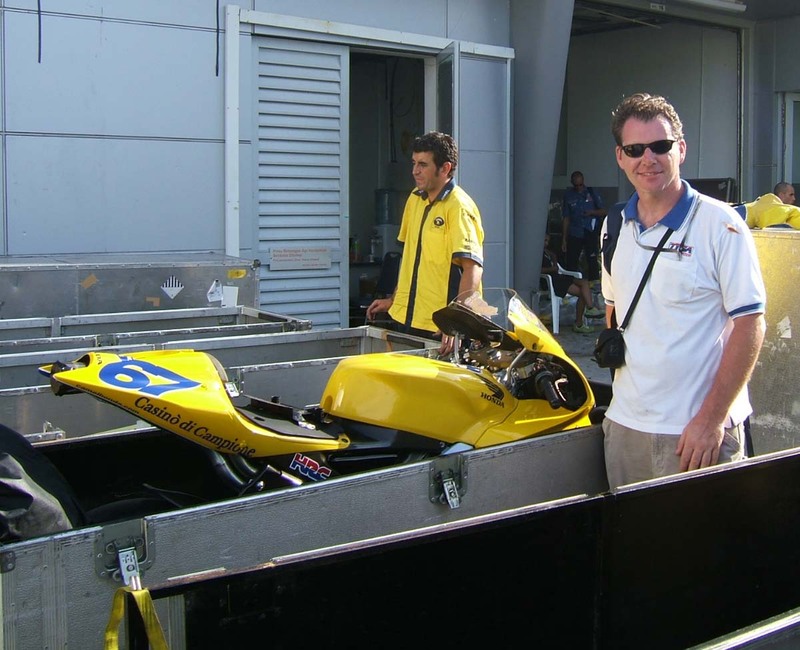 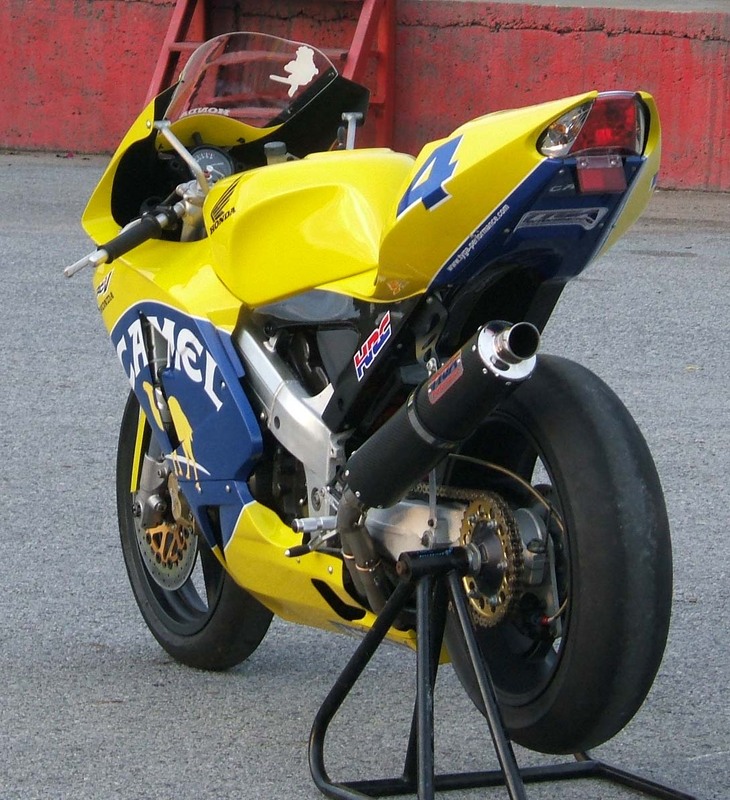 When making a production race bike out of a street bike, obviously the street gear had to go, so the mirrors, headlight, speedometer, sidestand, switchgear, ignition lock and horn were removed. 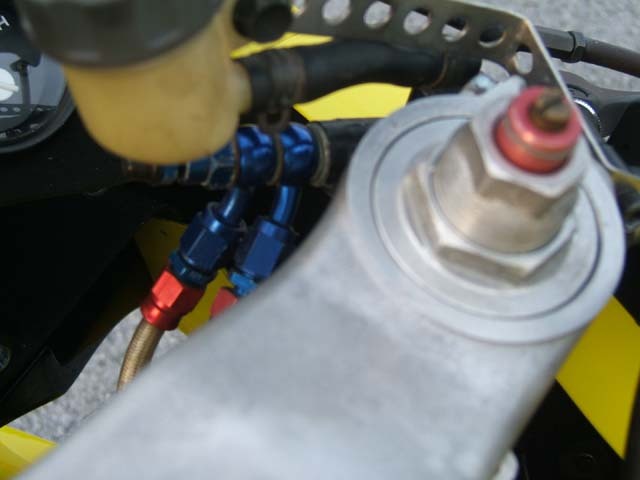 The chainguard was replaced with a simple aluminium stay to hold the braided line to give a cleaner rear end. 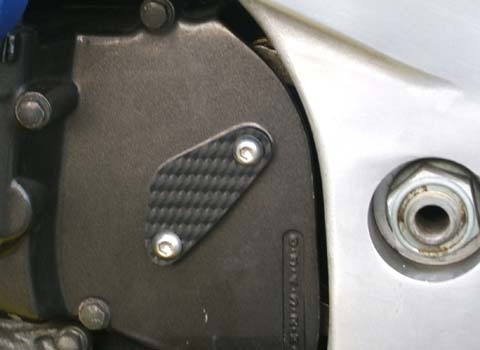 We fashioned up a carbon cover to go over the hole where the speedo pick up normally resides. 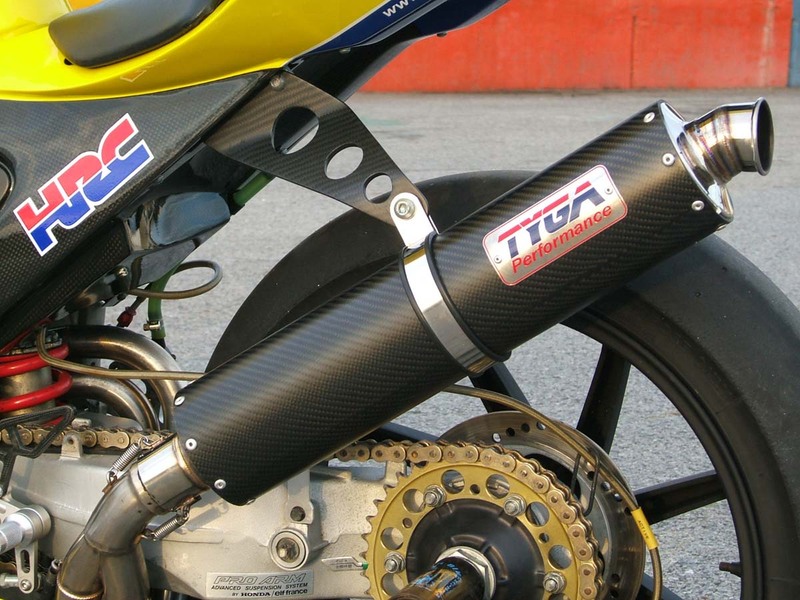 We retained the carbon clutch cover and Tyga step kit from the street version. 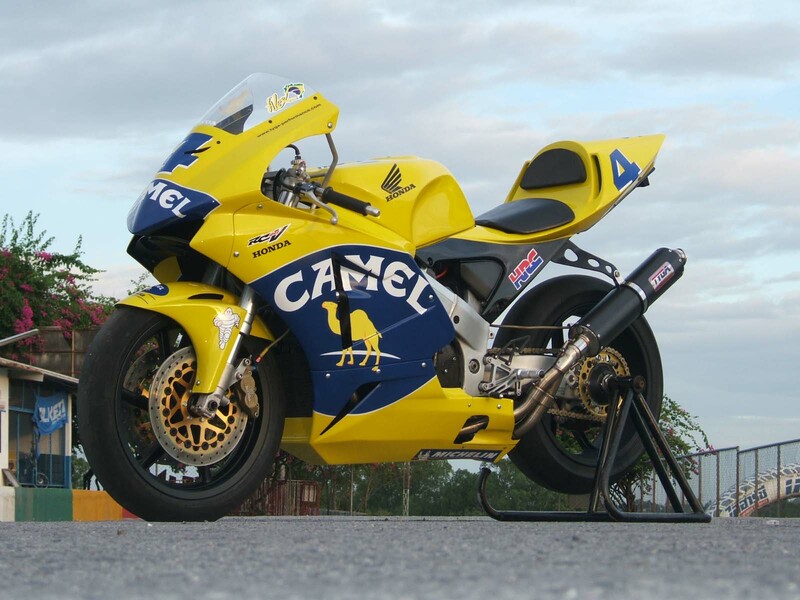 The RC211V bodywork differs from our street version in a couple of ways. 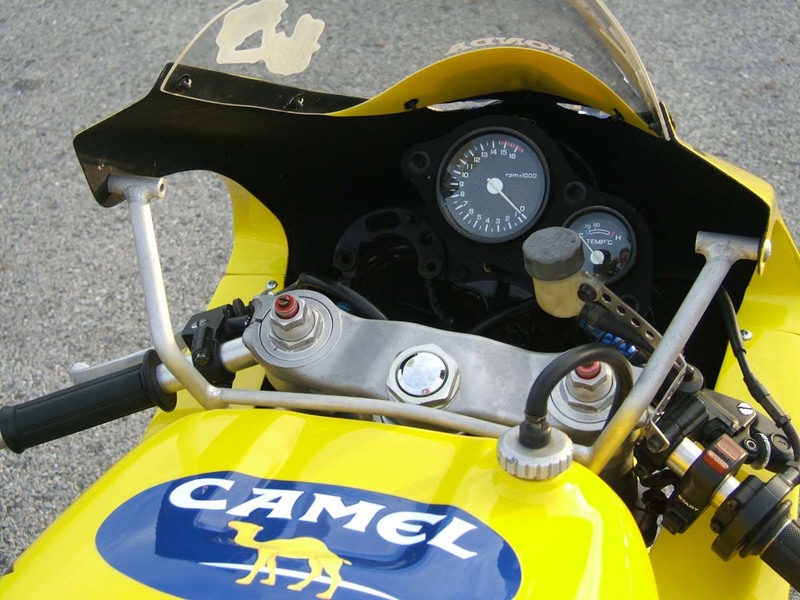 The cowling is our race set BPFS-0008 for the NC30. 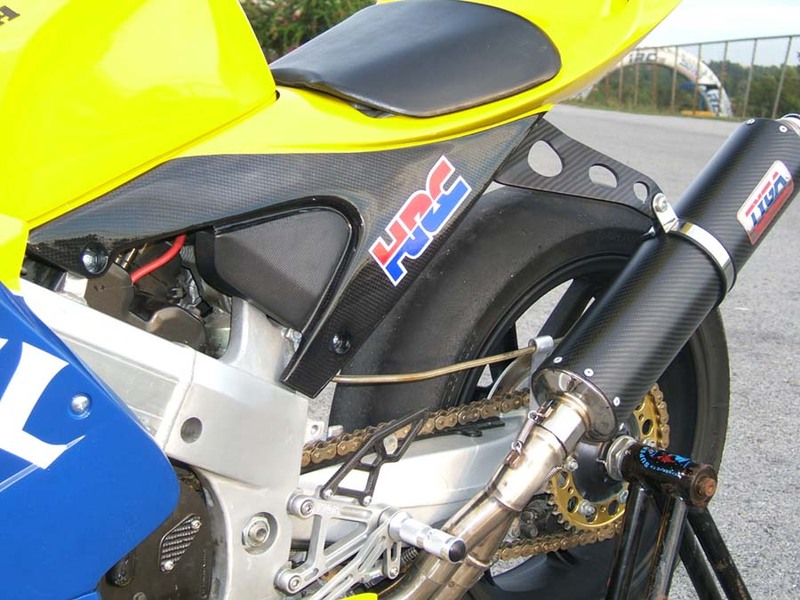 The front fender is custom made using our RSW front fender and adapted to fit the RS250 front end. 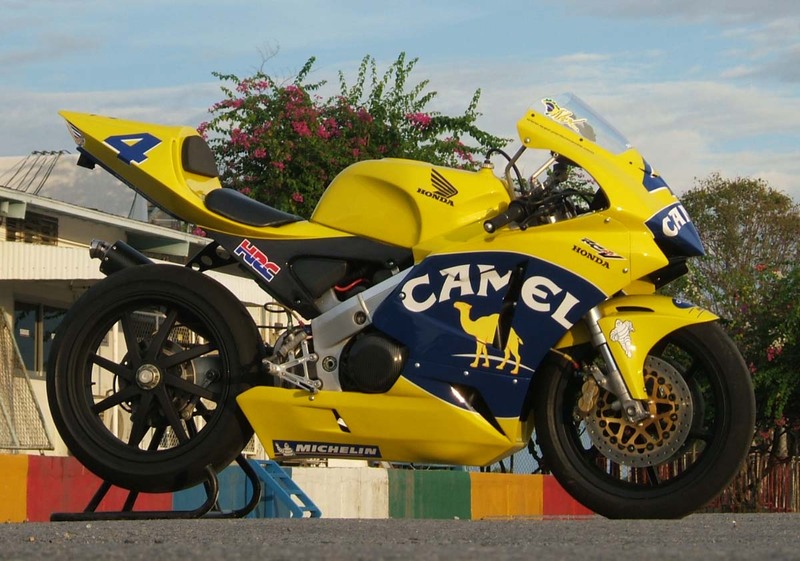 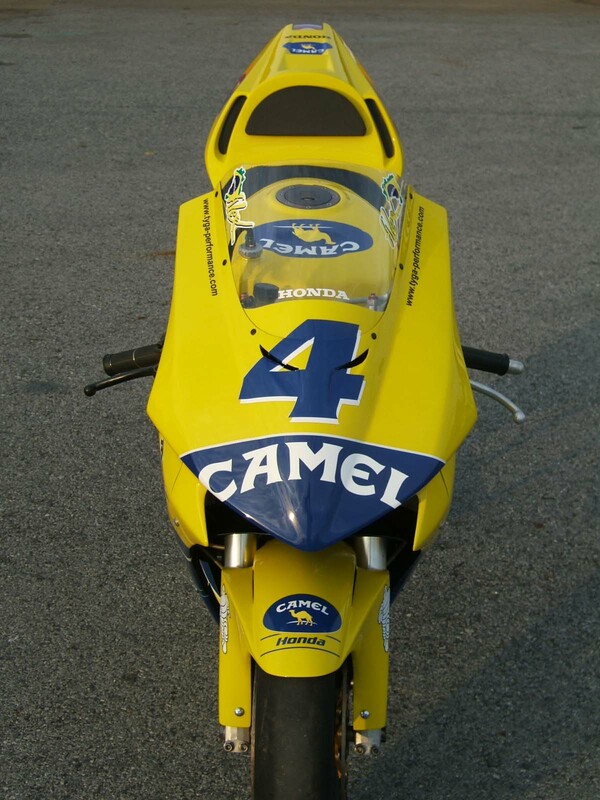 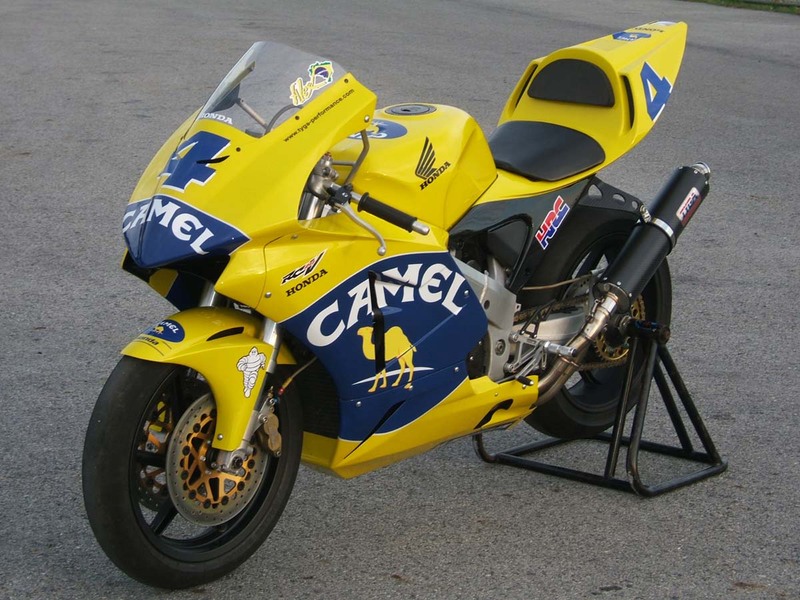 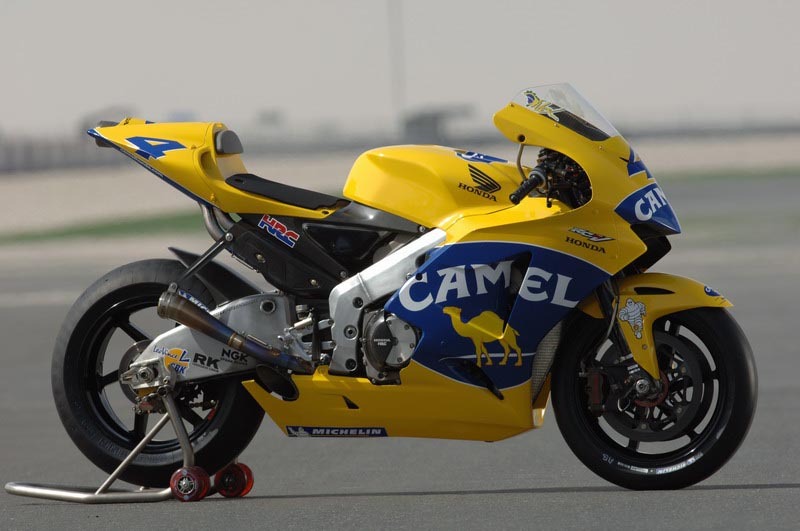 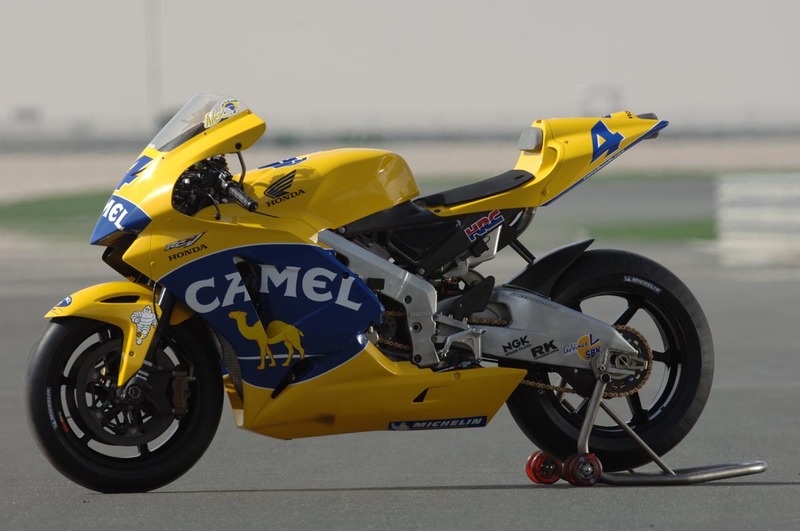 Paintwork is Camel 2005 as used by Alex Barros. 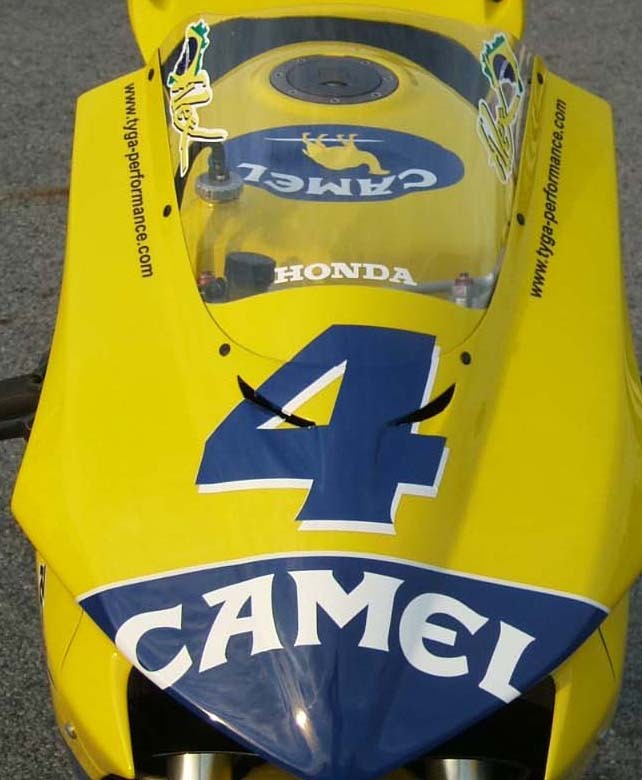 A big thank you goes to Alex Barros and the rest of the Camel Honda Pons Team for making this project a success. 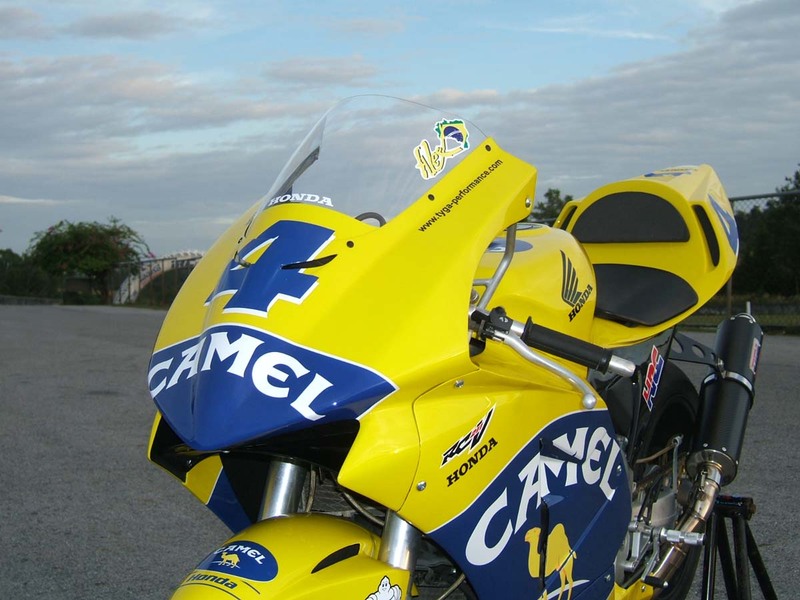 Below are some comparison shots with Alex Barros' real RC211V. 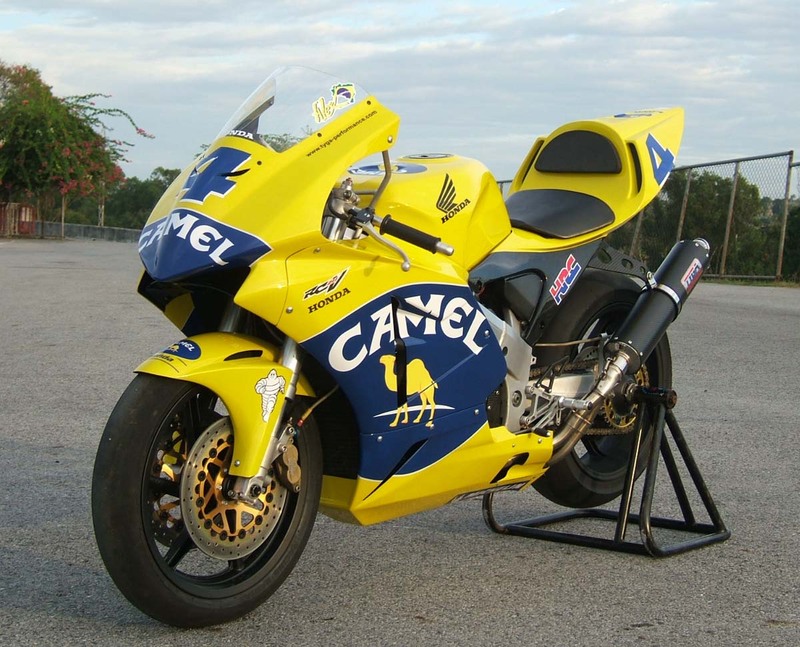 Any similarities are deliberate!